R.L. “Van” VanAntwerp, Jr., LTG (Ret.) was awarded the prestigious 2016 Golden Eagle Award for outstanding contributions to the engineering profession on March 10, 2016, in Alexandria, Virginia. The Golden Eagle has been presented annually since 1996 at the Golden Eagle Awards Dinner by the Society of American Military Engineers. VanAntwerp, Jr. retired from the Army after 39 years of service. His most recent position was as Chief of Engineers and Commanding General of the U.S Army Corps of Engineers (USACE). He was the senior military officer and oversaw a $40+ billion program including most of the nation’s civil works infrastructure and military construction on 250 Army and Air Force installations worldwide. As the USACE Commanding General, he was responsible for over 37,000 employees who provided engineering, project management, construction, and operation and maintenance support in nearly 100 countries around the world. 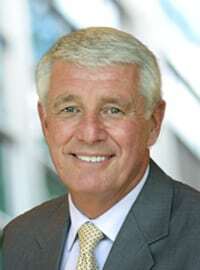 General VanAntwerp was appointed Chief of Infrastructure and Executive Development at the Flippen Group in 2011. Van serves clients as a senior consultant and leads the new Infrastructure Group, working with organizations to develop teams and acquire resources needed to rebuild roads, waterways, schools, and utilities – all of which are critical to improving the fabric of society. The Golden Eagle is one of two awards that have been presented annually since 1996 by the Society of American Military Engineers. The second award for significant contributions to national security was received by Admiral Vern E. Clark, USN, (Ret.). The Society of American Military Engineers was founded in 1920 after over 11,000 civilians were called to serve during WWI. During that conflict, public and private sectors used their collective knowledge to ensure America’s success on the battlefield. Today, the Society exists to enable preparation to overcome disasters, acts of terrorism, and for improved security at home and overseas. They provide education and professional development opportunities to its 30,000 members from the fields of architecture, engineering, construction, environmental studies, facility management, contracting, and acquisition.